The perfect easy Easter and Birthday recipe. Get pot add water put a metal bowl on top and let it boil. Add half bag white chocolate in the metal bowl, melt and mix until all melted. Get cupcake baking pan and spray cooking olive oil. In a small bowl - add 2 spoons melted white chocolate. Add a drop of red food coloring in melted white chocolate and mix with spoon. 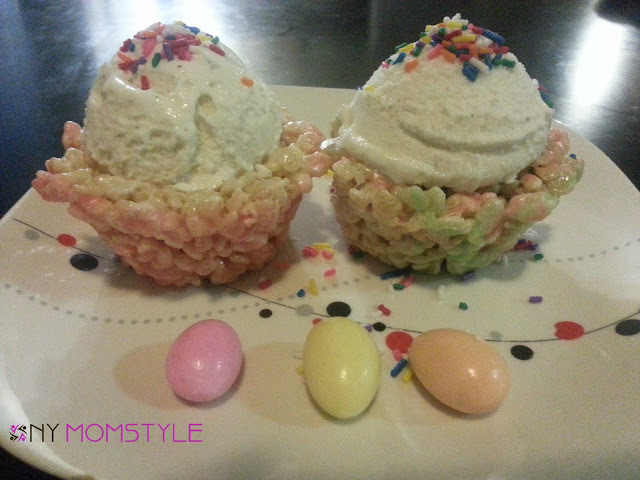 Put the Rice Krisby treats upside down and glaze with the colored chocolate. 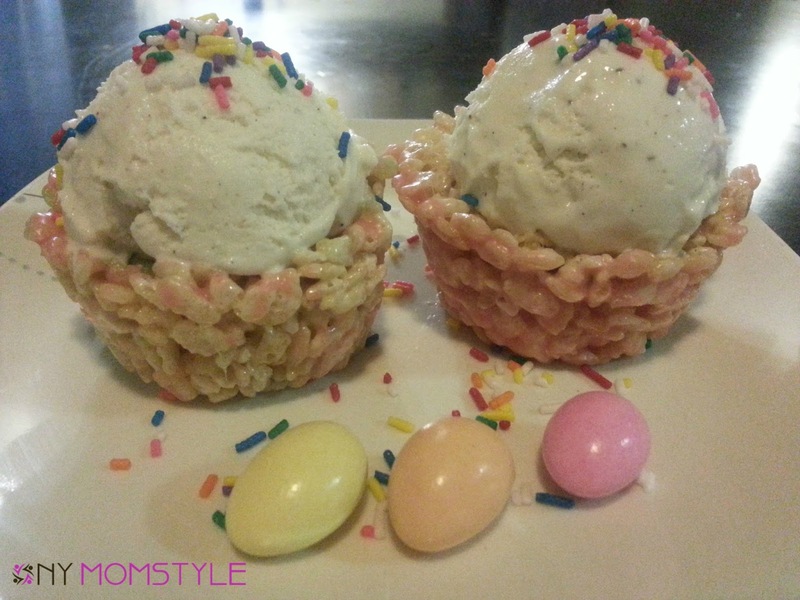 Now you can add ice cream, rainbow sprinkles on the Rice Krisby treat and almond eggs. Your done and enjoy!